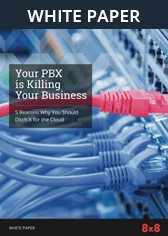 eGuide: Why Cloud is Always Less Expensive | 8x8, Inc. 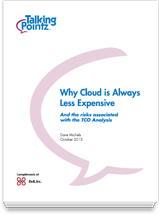 There is a misperception out there that cloud is more expensive. It is a common error and is largely a result of applying premises-based best-practices when comparing solution alternatives. Because standard TCO studies often fail to properly value key strengths of cloud-delivered services, they can lead decision-makers astray. But if the TCO approach is wrong, then what’s right? The first step is understanding how cloud-delivered solutions, such as cloud telephony, benefit an organization. Comparing only costs is misleading without fully understanding the differences in benefits such as agility and lower risk. 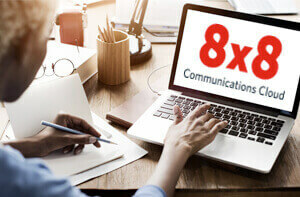 Download this analyst white paper to discover the 9 key ways cloud communications can lower risk and deliver benefits beyond TCO to your organization. Dave Michels is a Principal Analyst at TalkingPointz. 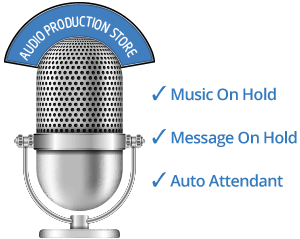 His unique perspective on unified communications comes from a career involving telecom and IT, including leadership positions in Fortune 500 companies as well as start-ups. Dave contributes regularly to multiple UC news and analysis sites including NoJitter.com, SearchUC, and UCStrategies.